If need some additional personal tratinings go to Sweat Equity Fitness. There will be 2 Vancouver CEO Ladies Runs in September. Read below for event times and locations. Pick the run nearby your area and RSVP to join us. Look forward to seeing you there! Come and join the last few summer runs in Vancouver and San Francisco! Read below for event times and locations. Pick the run nearby your area and RSVP to join us. Look forward to seeing you there! 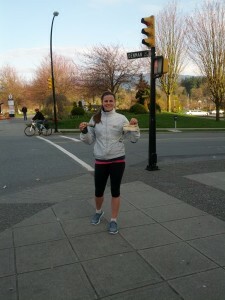 Easter Run at Stanley Park: Karen had a great run on Friday, March 29th at Stanley Park with Hailee. It was a sunny but chilly day. 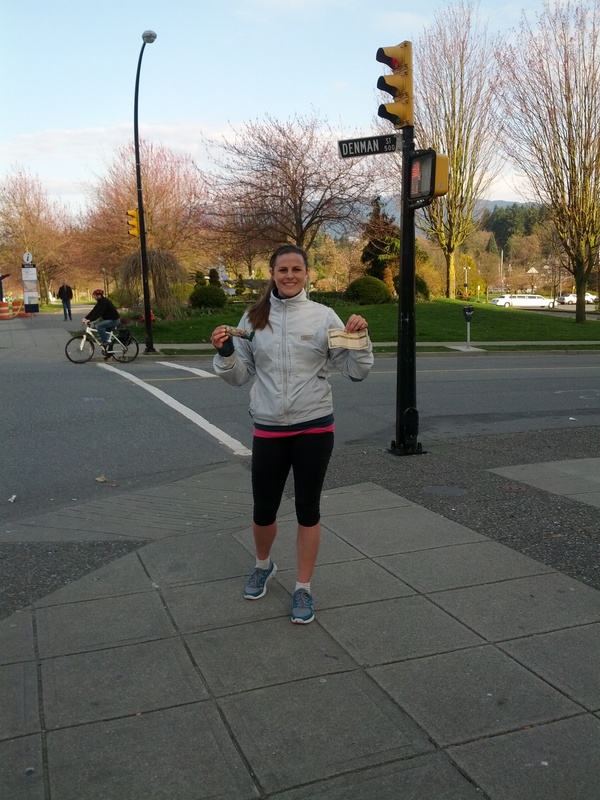 Hailee received a KIND bar and 10% off coupon to use at Choices Markets. 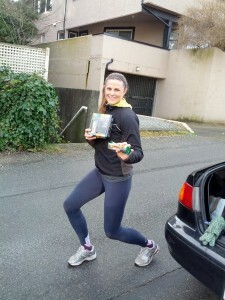 Thank you Hailee for joining the run and thank you KIND Snack and Choices Markets for being our sponsors. 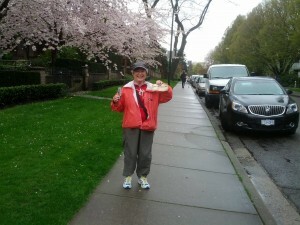 Vancouver CEO Ladies Run: Karen had a great run with Roslyn on Friday, April 5th. 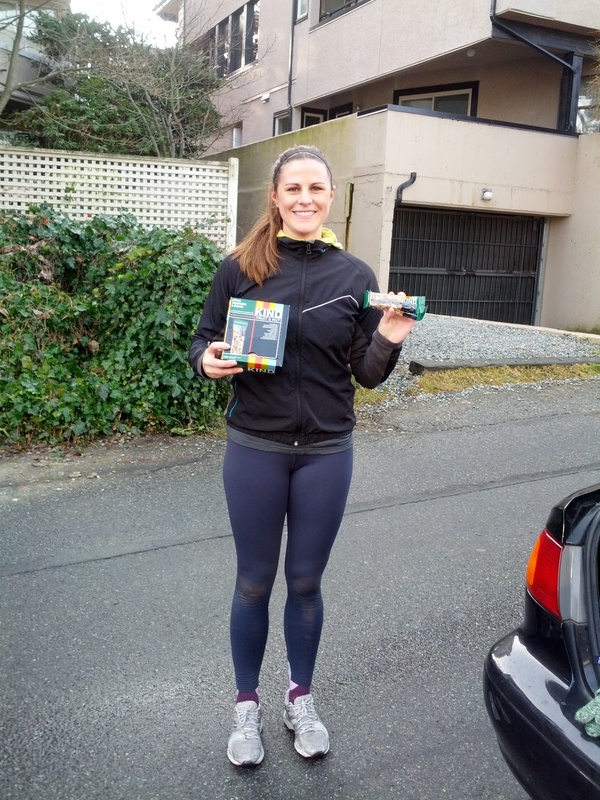 There was no rain so it was ideal for running, and Roslyn received a KIND bar and 10% off coupon to use at Choices Markets. 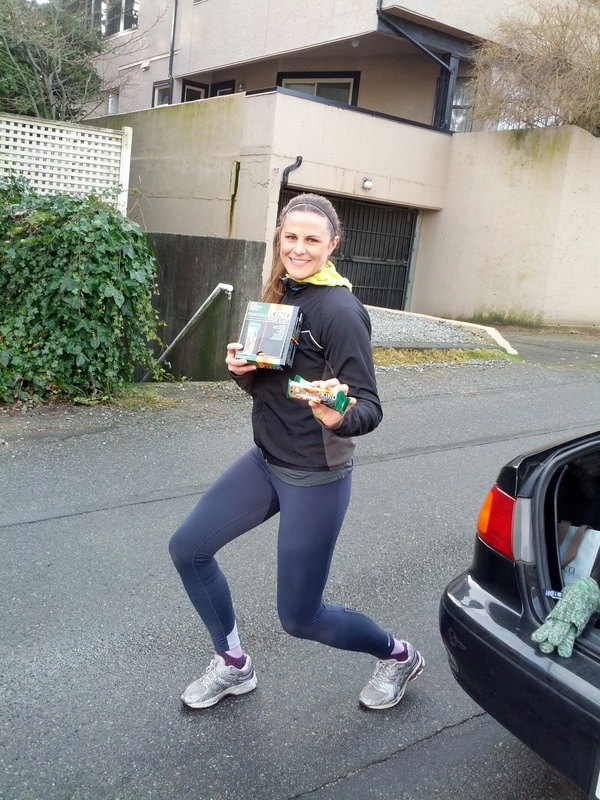 Thank you Roslyn for joining the run. Roslyn has been operating her business as an Economist for 25 years and in between she has even managed to squeeze in a few marathons. 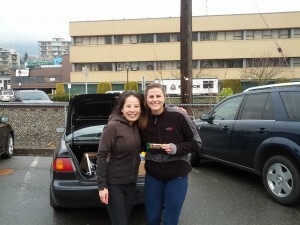 We just had another great CEO Ladies Run on Saturday Feb. 9th 2013. Thank you Hailee Turpin for leading and organizing and again KIND for the bars. Stay tuned for the next run on the 23rd in Kitsilano! Thanks our sponsors Choice Markets, Alive Magazine and KIND Snacks! Another great CEO Ladies Run took place on Saturday January 19th, 2013. It was chilly, but sunny. Thank you Hailee Turpin, Co-Founder of Bright Evolutions LLC, for coming out. It was a pleasure running and chatting with you. Please enjoy your photo below sporting a KIND bar 🙂 Once again, thank you KIND for being our sponsor.